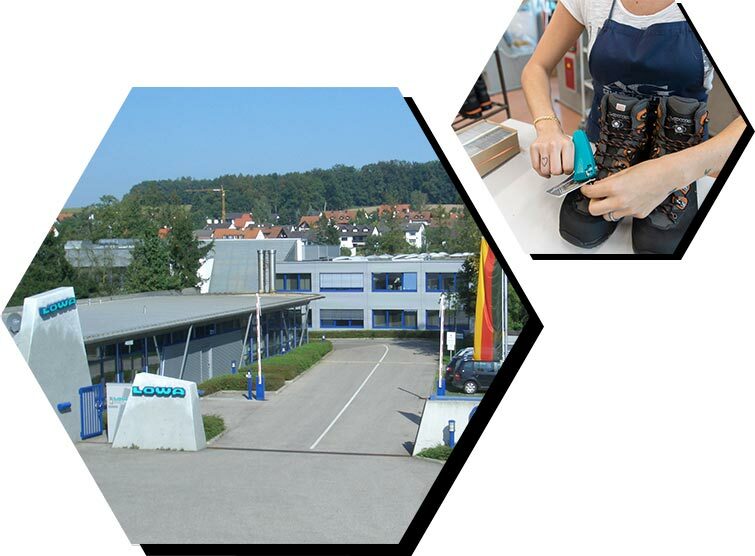 LOWA Sportschuhe GmbH was founded in 1923 in Jetzendorf, a town located near Munich. The company still has its headquarters in this town in Upper Bavaria, even though it became part of the Italian Tecnica Group in 1993. 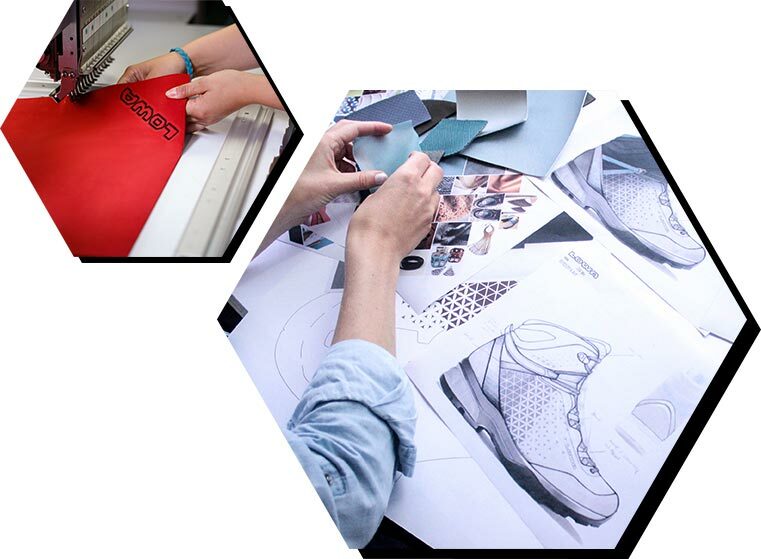 At the time of the acquisition, the company produced 350,000 pairs of shoes each year – today, the number has risen above 2.7 million. 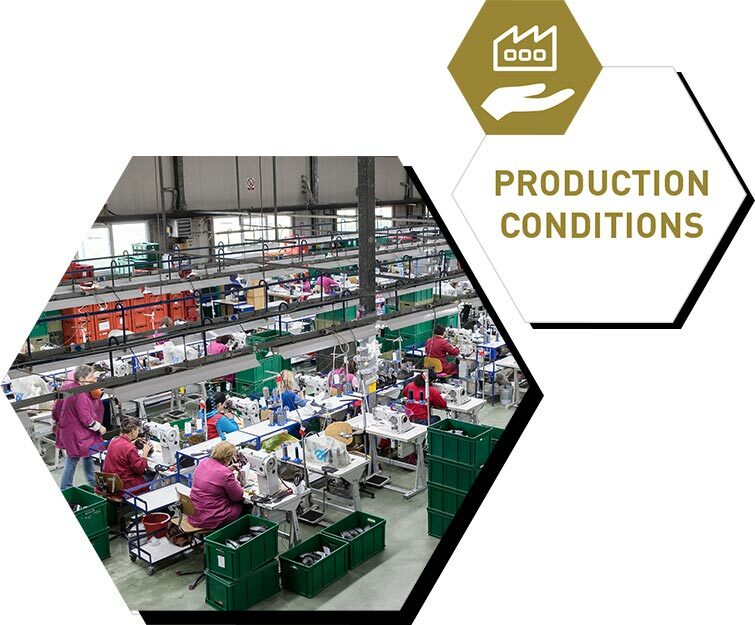 The people responsible for this success are modellers, shoemakers, warehouse specialists, procurement managers and all other employees at LOWA. Sustainable action has been a much- discussed issue for a few years now. But what exactly does it mean? It means that a responsible company places special emphasis on “how” things should be done. How can we improve staff satisfaction? How can we deal fairly with our partners and suppliers? How can we manage resources carefully? All questions regarding environmental, economic and social issues are an integral part of all areas of the company. The basis of this work is our defined guiding principles, which serve as a compass to all of us. Besides regional institutions and projects, the company supports social and cultural projects on the national and international levels. 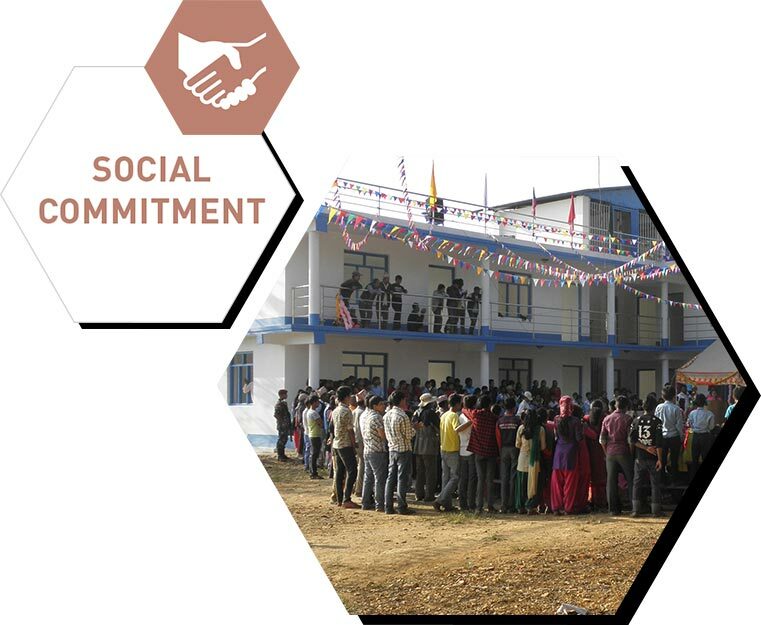 For example, LOWA helped the NEPALHILFE BEILNGRIES e.V to build a new school. The company’s athletes also work with the organisation KENIAL e.V. to distribute shoes in Nepal. In Germany, LOWA acts as an ambassador and supporter of the OUTDOOR AGAINST CANCER partner network, among other things. Made in Europe – in order to meet our quality requirements, we plan, develop and manufacture our products exclusively in Europe. We operate under the Europe Union’s stringent manufacturing, environmental and labor regulations. We put into practice every day what many other companies only pay lip service to: clean manufacturing, minimal waste and fair labor practices. From start to finish, LOWA footwear is 100% designed, sourced and handcrafted in our factories in Europe. In recognition of these efforts, LOWA has been granted ISO 9001 status for the highest quality construction and process standards. Footwear maker, warehouse specialist or procurement manager – the professions at LOWA are as varied as the people who work in them. Their skills, their craftsmanship and their commitment are what makes LOWA a successful brand. 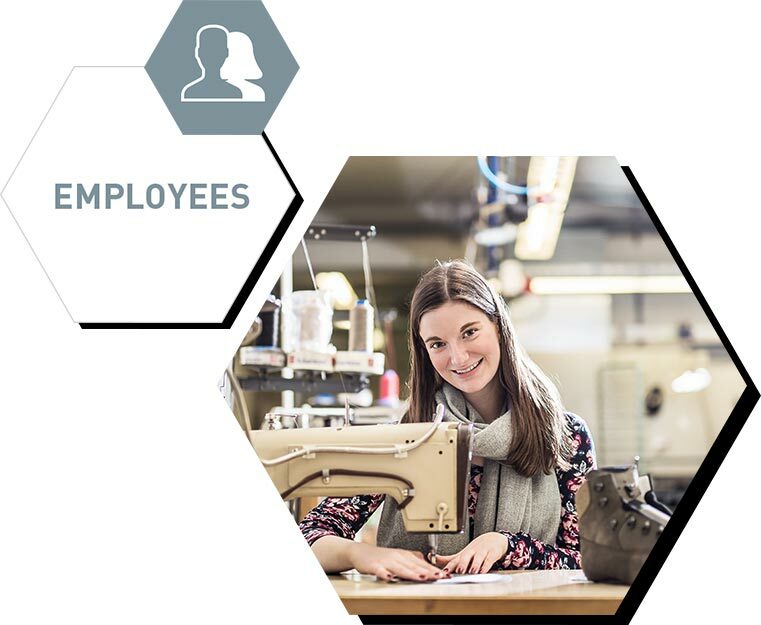 For this reason, the company strives to offer its employees, 250 of them in Jetzendorf, the best possible working environment. This includes a whole host of opportunities for advanced training and professional growth. A company pension plan is one obvious aspect of LOWA’s commitment to its staff, just like the creation of a work environment in which employees treat one another with candour, fairness, and tolerance. What does LOWA expect from its employees and business partners? This is clearly defined in the company’s Code of Conduct. Every supplier and producer has to sign this document, which defines working hours, wages, holidays, occupational safety and more. Additionally, internal audits ensure that the Code of Conduct is being followed. Outdoor companies live with and from nature. LOWA has backed reforestation programs in the Bavarian mountain areas for years and supports the wildlife conservation projects of the WWF through the sales of its cuddly toy LOWINGO. In the US, LOWA supports many non-profit organizations that work to make the outdoors more accessible to everyone. 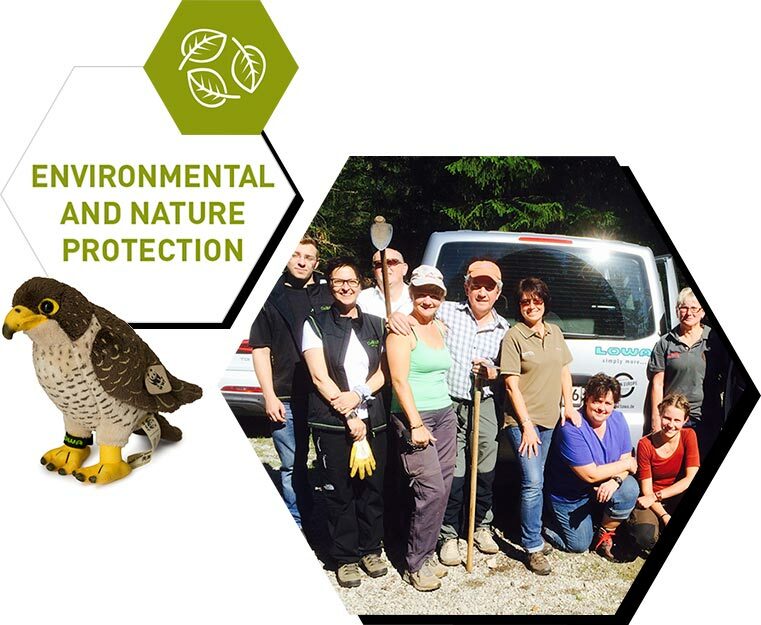 More information about the field of action environmental and nature protection can be found here.